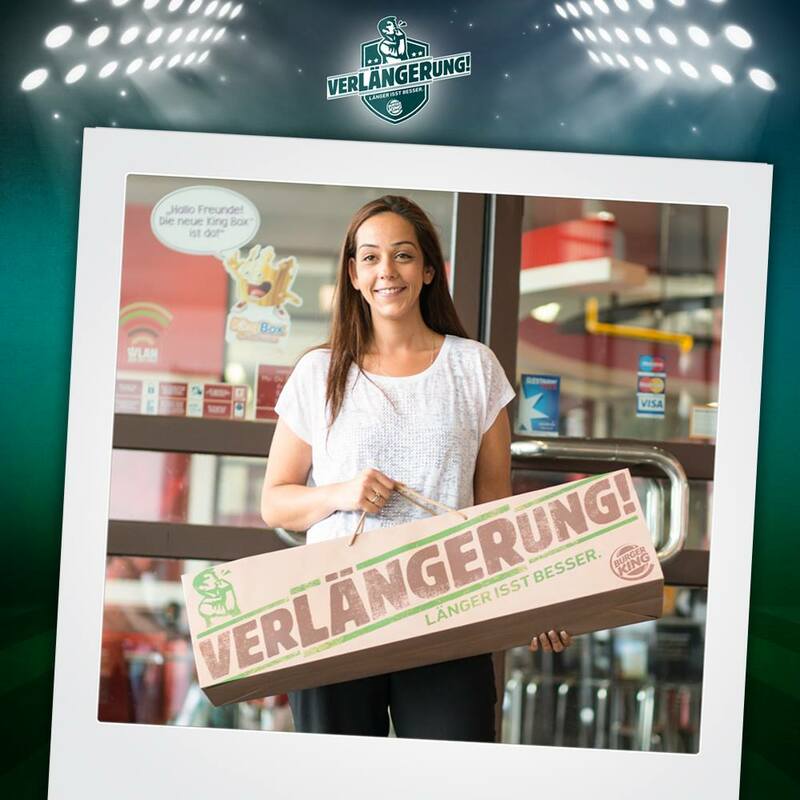 Imagine that you are a food brand and wish to keep your customers alarmed during the UEFA EURO2016 Cup. What do you do? If you are looking for something creative to interact with your customers during a special period of time like EURO Cup then you need a ball and a game! 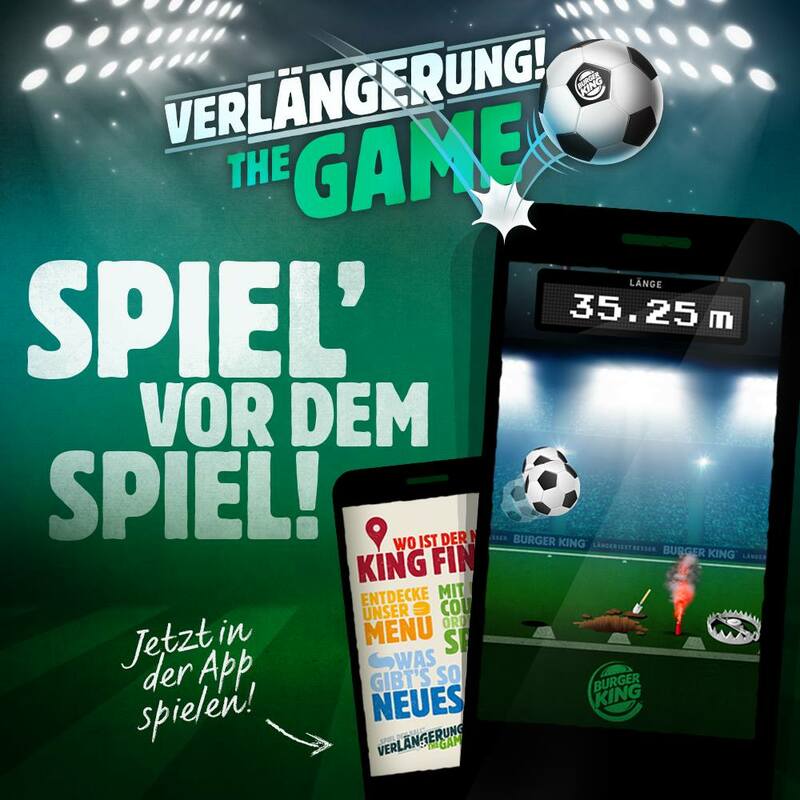 Gamewheel’s platform was used from Burger King Deutschland and their communication agency setup München to create a mobile game. The name of the game was “Verlängerung”. It was a Retro Style Skill gamed that included a bounced ball! The player had to keep the ball safe, away from potholes and flare torches that were appearing randomly on the game’s grass screen without time limitations. 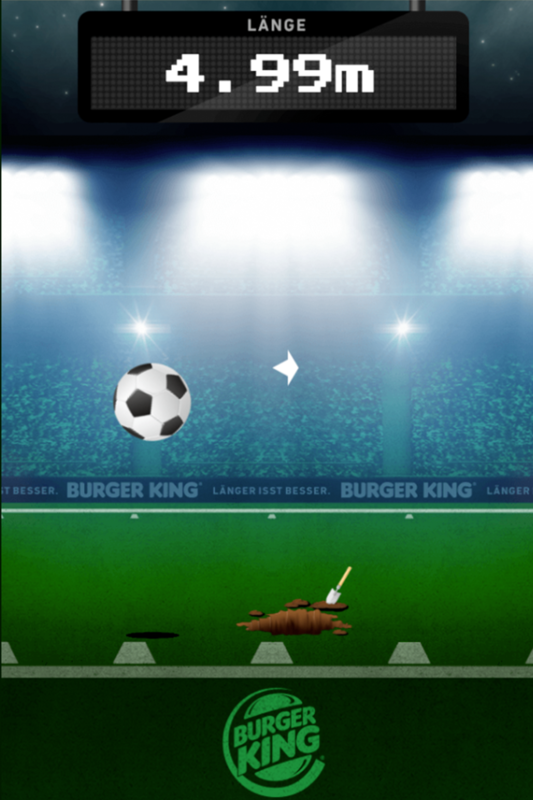 The game was incorporated into Burger King app and could be played in mobile device. 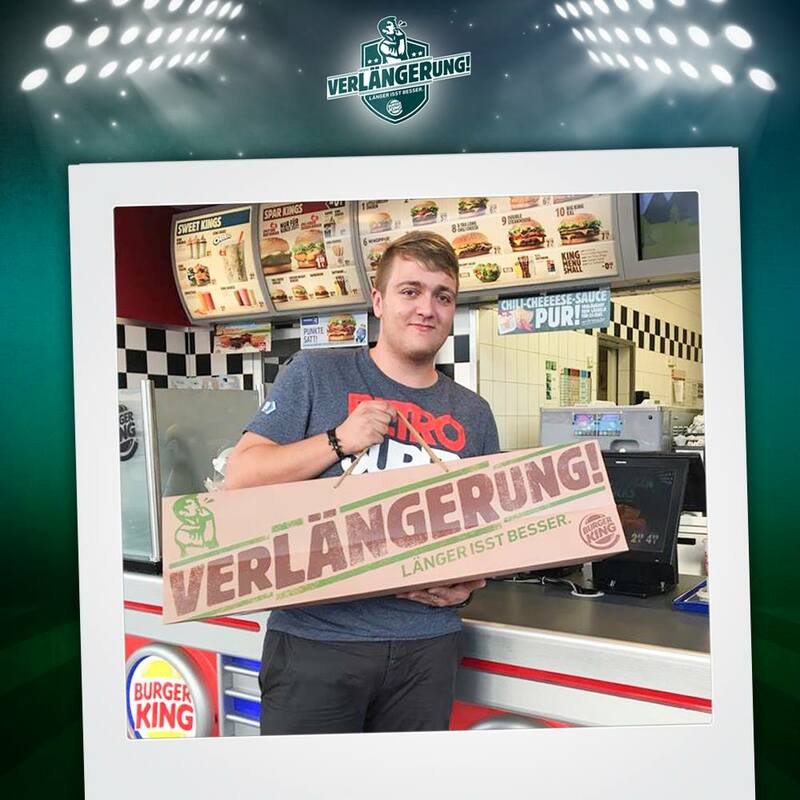 The game remained at Burger King’s mobile app for 3 months. The feedback we received for our customer on the analytics proves once again that carefully designed advertising games combined with an attractive CTA from brands drive directly to our “Success stories” page! 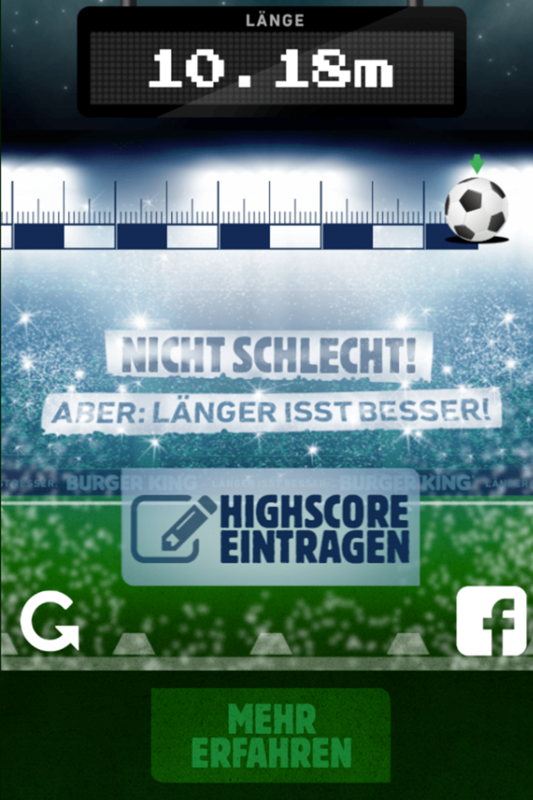 Easy to design mobile ad game! The further the players could go playing on the field, on the shorter possible time, the higher he could climb on the leaderboard. In this easy to create game, the player was controlling of a bouncing soccer ball, inside a football court that was bouncing up and down. The players had to avoid the obstacles inside the field and try to go as far as possible. 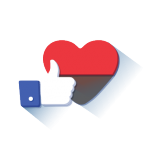 The game loved by users super fast and it became viral. 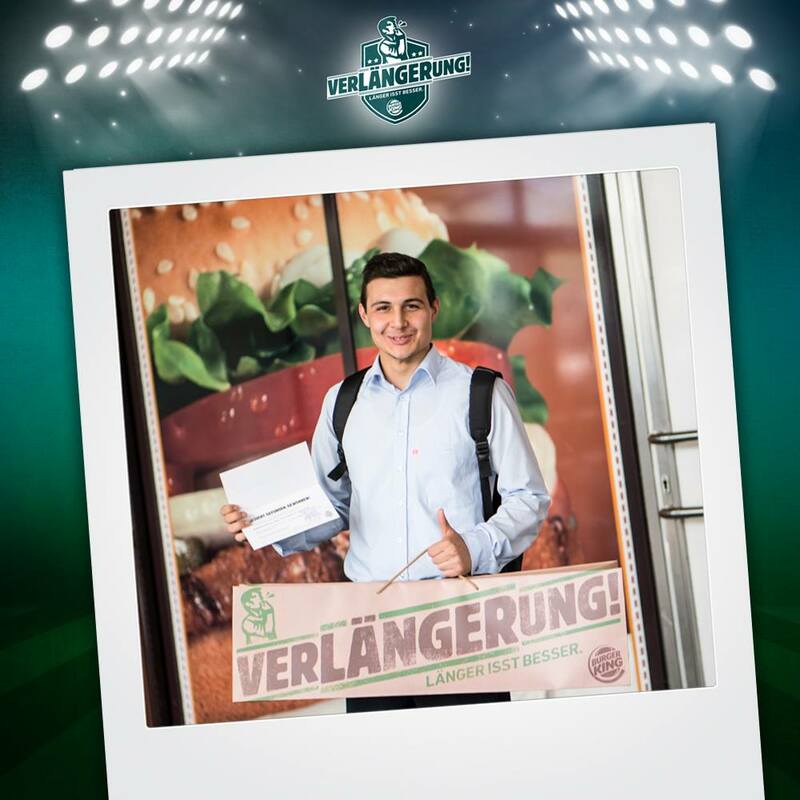 Taken into consideration the statistics of the “Verlängerung” Burger King mobile game, the campaign proved to be a great success. The game was completed for the impressive number of 986,649 times! 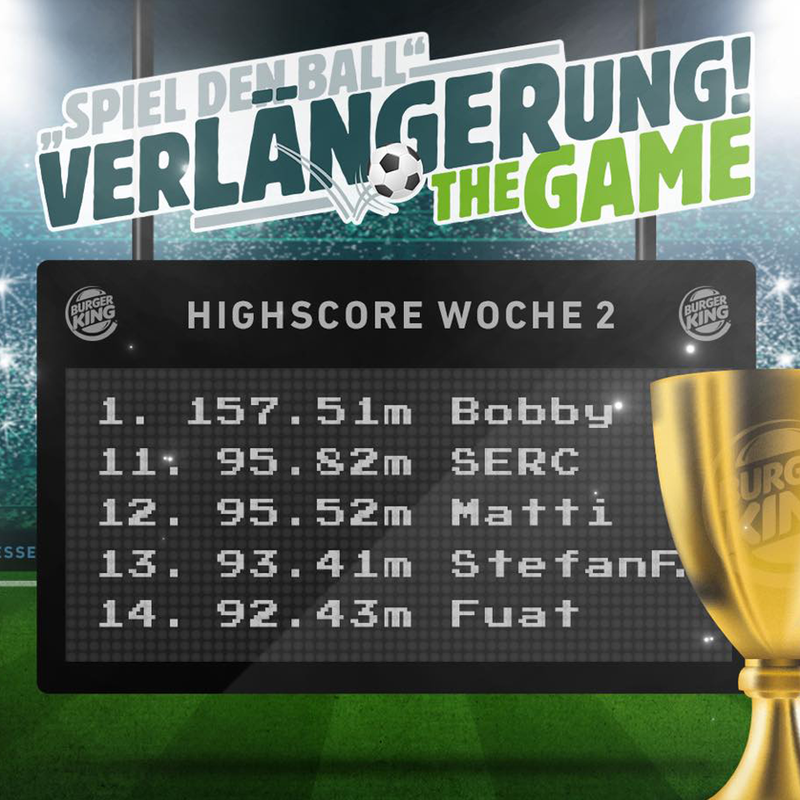 Almost one million people played the game, also they replayed the game 633,042 times and 72,694 people completed the requested form from Burger King to be included on the winning list. 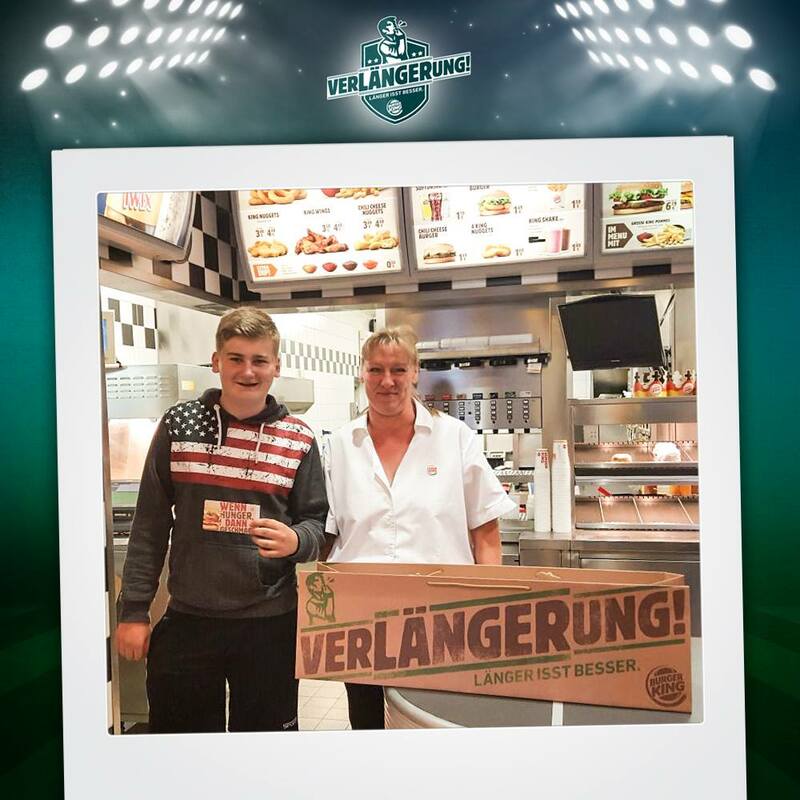 People who managed to stay longer in the game, were able to get a special price for their next Burger King visit and some others 5euro coupons and looooooooong and yummy goodie bags from Burger King! 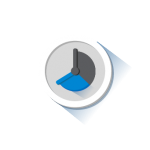 The whole traffic was organic and did not need any paid advertising campaigns (native advertising) – this is what you get if you offer just great content to your audience. 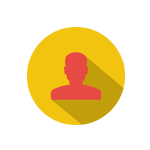 Be creative and start building now your next online game and boost your digital marketing campaign in the easiest and most exciting way! 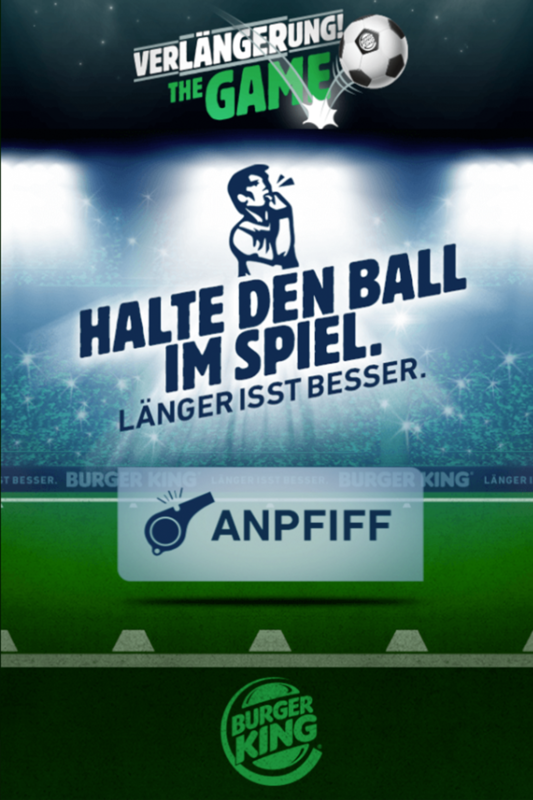 The game remained at Burger King’s mobile app during UEFA EURO 2016 Cup. 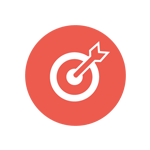 The feedback we received for our customer on the analytics proves once again that carefully designed advertising games combined with an attractive CTA from brands drive directly to our “Success Stories” page!